We specialize in bulk hopper bottom freight, and operate in the Upper Midwest, Southern States, and Canada. 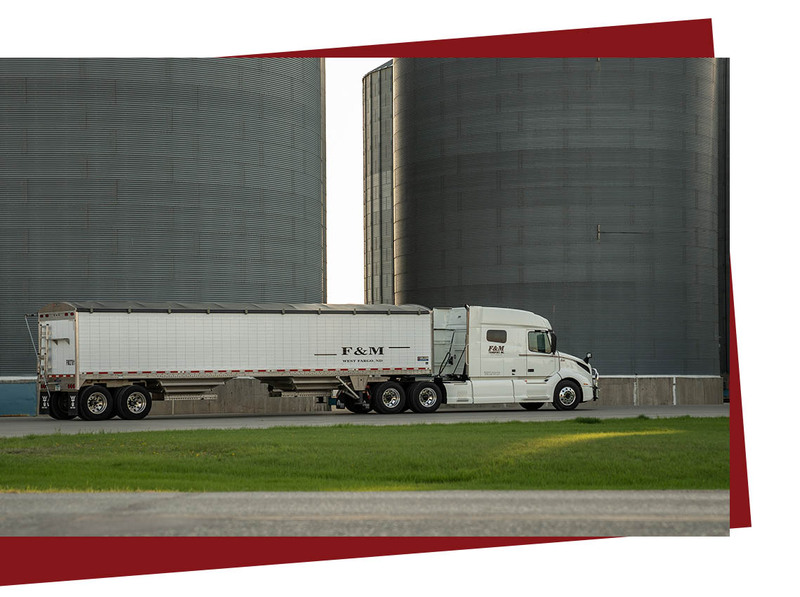 Our extensive combined knowledge of the agriculture market, our reputation for dependability and first-rate customer service, have led F & M to become one of the leaders in the bulk transportation industry. F & M Logistics, Inc. was established in 2010 to help accommodate additional loads for our customers and to meet the needs of other carriers. 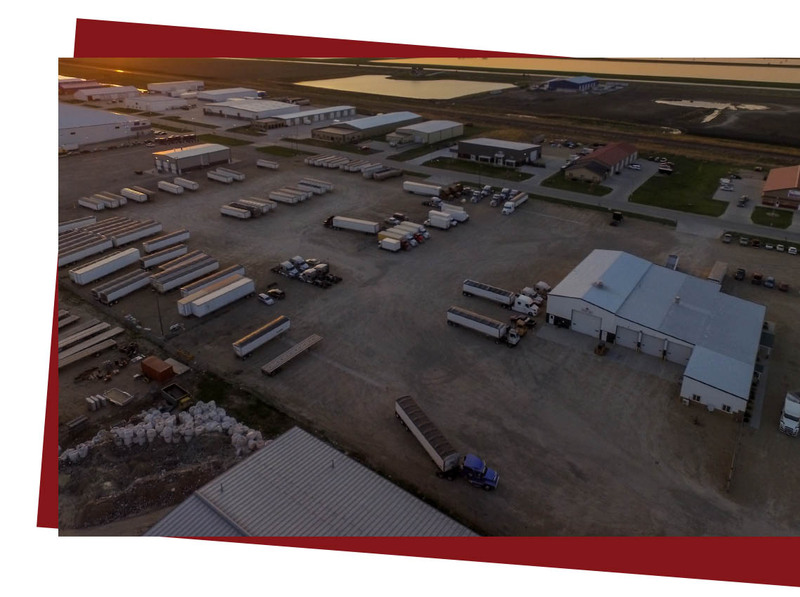 F & M Logistics has a solid base of owner-operated trucks pulling hopper bottom trailers. F&M Transport is a family owned and operated business where you will be treated with respect. 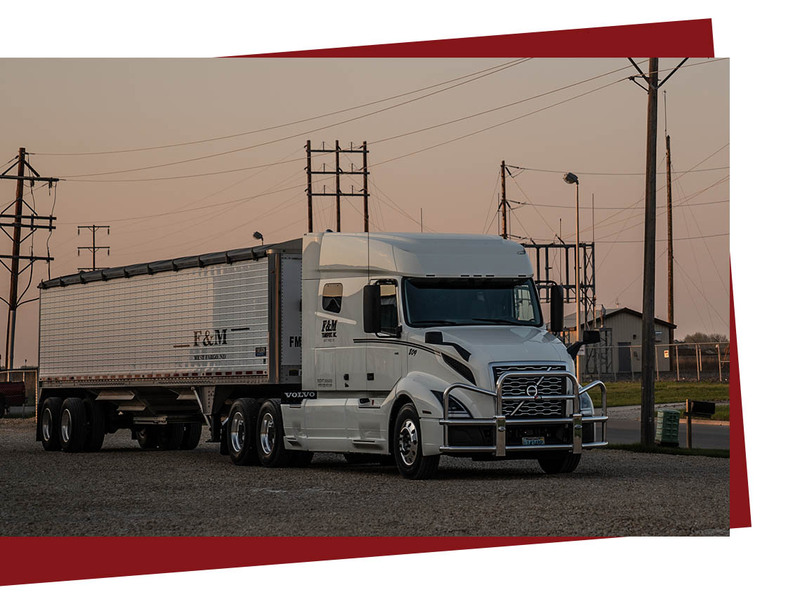 We operate late model equipment that will keep you trucking. Driver requirements include having at least two years of driving experience and be a minimum of 23 years old.